WHAT ANTI-AGE TREATMENT FITS WITH YOU? A complete range of surgical, invasive treatments as well as non-surgical treatments in the fight against facial ageing and to restore a more youthful appearance are available nowadays. Even if non-surgical’ treatments are used, they may only be performed by qualified physicians. A good skincare routine according to skin type, plays a significant role in maximising the results of anti-ageing treatments. The soft anti-ageing skin treatments with soft peels (such as the Easy Phytic Peeling) and LED therapy are a step up. Above this, we find medical skin improvement treatments with Medical Peeling and Medical Needling (Collagen Induction Therapy). These treatments will refresh the texture of the skin, making the skin shine more. Then there are the anti-wrinkle treatments with Muscle Relaxing injections ** / Fillers / lipofilling. While the aforementioned non-invasive methods for facial rejuvenation can go very far in bridging the path to surgery, the results of a surgical facelift-neck lift and eyelid correction-eyebrow lift are superior in reducing wrinkles and improving a tired-looking appearance. Because the different levels of treatments are offered at different Clinics, the limitations and disadvantages of specific non-surgical therapies (which are certified by some beauty institutes and/or not aesthetically certified doctors) can be pointed out. Thanks to the extensive range, a personal anti-ageing plan can be developed for each patient, the so-called “customised anti-wrinkle treatment”. 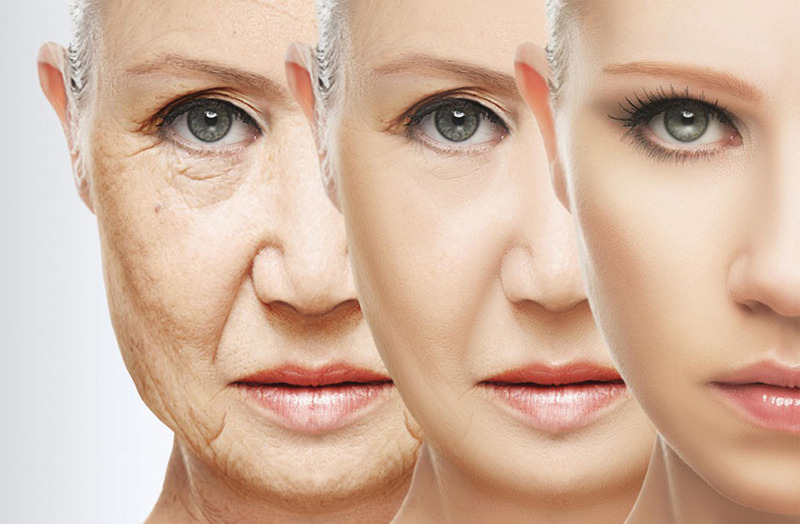 Anti-ageing is approached in a holistic manner. Combining specific treatments leads to added value and better results since the treatments exert a strengthening effect on each other. Using combination therapies of a non-surgical nature such as fillers, muscle-relaxing injections **, medical peelings, medical needling, thermage, etc., one can experience ageing in a classy way. Surgical treatments such as facelift (to treat sagging facial contours), eyebrow lift/forehead lift (to treat sagging of the eyebrows), eyelid correction (treatment of excess skin and adipose tissue of the upper and lower eyelids), neck lift/liposuction (surgery of sagging neck) And non-surgical treatments such as muscle relaxant injections **, medical peeling, medical needling (treatment of fine wrinkles around the mouth and elsewhere on the face) or fillers / lipofilling (treatment of volume loss), are achieved the best results. A half-yearly or annual visit to the plastic surgeon is the best guarantee for a natural result. There are several possibilities for “age management”, each with its advantages and disadvantages; a personal evaluation by the plastic surgeon can help you to create your secret age management program. Planet Engine is the only magazine focusing on Global News and Stories. We cover hot and top news and stories on politics, business, technology, entertainment, health & beauty, food & drink, travel and sports. © 2019 - Planet Engine. All Rights Reserved.